Obviously if your using the build service you can't take advantage of native code but still it's pretty epic. I now have an app for several platforms I've never developed for and all I did was point a web page at a git repo. They also give you one private application for free so if you want your HTML5 app on some platforms you'd otherwise never touch with a fifty foot rusty barge pole give it a go. 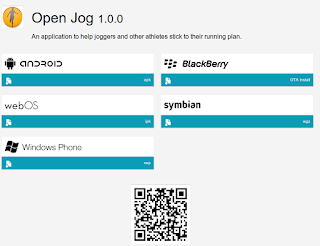 You can see an example download page for my Open Jog app below.